Proactive Advisor Magazine: Blanton, talk about the career path you took to establishing your current practice. It started in college when I became interested in finance and the stock market. I was the president of an investing club at the University of Nebraska, and we held our meetings at a local branch of a national financial firm. I will never forget one of the advisors at the firm telling me I would probably do well in the financial-services business because he thought I wrote strong analytical reports. I was a broadcast journalism major in college, however, and thought I wanted to be, believe it or not, a TV meteorologist. I did not seriously pursue that after school, but I did work very successfully in the cable television industry for years, focusing on sales, marketing, and business development. During the early 1990s, the career path in my area of the cable TV business became very challenging. There is an old market adage that an industrywide decline in advertising spending is a leading indicator of a recession, and that was true at that time. So, I ended up leaving the cable TV field and was recruited by a major insurance and financial-services firm. I ultimately worked for several well-known firms in the industry, gaining experience and evolving toward becoming a holistic financial and investment advisor. My experience working with different firms provided a good opportunity to see some of the best practices in the industry. I was able to build my own managerial skills by running an office in Florida for one of the companies. This period of time also convinced me that I wanted to be a truly independent advisor, with the freedom to seek out investment products and services for my clients from any source that offered excellent strategies to help my clients achieve their goals. I started my own firm in 2009 and was able to retain almost all of the clients that I had worked with over the years. Our firm has subsequently experienced very strong growth in both Florida and other states. Please share some of the factors that have led to your firm’s growth. There are many intangible factors at play in successfully growing a practice, starting with the level of service you bring to clients, the trust factor, and how well you do in meeting the needs of each client. We speak about four factors on our website: integrity, knowledge, service, and respect. If you deliver consistently on all four of these, you pretty much guarantee that clients will be willing to refer you to their friends, family, and associates. The vast majority of our business growth has come directly from referrals by current clients. When we began the firm, we focused on creating and managing retirement plans for companies or organizations. This has been a strength of the practice, and it enables us to serve the business needs of a company. It also provides an introduction to our wealth-management services, which ultimately deliver greater revenues for us. A few years ago we brought an experienced retirement-plan professional into the practice. This frees up more of my time to devote to the wealth-management side of the business. We work collaboratively with many clients, and that has been a very successful element of our practice. We have a strong group of client-relationship managers. They spend a lot of time with clients on day-to-day questions and a variety of planning issues, receiving many accolades from clients for their work. This has been a big contributor to our ability to grow the practice, as I am able to focus on relationship-building and big-picture strategic issues. Our other major segment focus, other than retirees and business owners, is in the health-care field. We work with a range of different physician practices, larger health-care facilities, and across many different health-care segments. This is an attractive area because there are usually higher-net-worth clients involved. But it is also a great segment to work in because we share many of the same values. We have come to understand the client mindset in the health-care field—their behavioral finance tendencies, if you will—and that has translated into many referrals from satisfied clients. We run a fee-based practice primarily using managed accounts and third-party money managers. This has provided investment strategies for our clients that are suitable for their objectives and goals. It also allows me to concentrate on our overall investment decision-making and recommendations. I select and manage the managers and focus on developing client portfolio allocations and strategies that are appropriate for our clients’ needs. Explain the investment philosophy you bring to managed money. I will give you an example using a classic situation I might face with a physician. Let’s say we have entered discussions with a new physician client where our analysis shows that over 90% of their assets are invested in equities. For many years, it turns out, this high-earning physician and his or her spouse have been told they can be aggressive and growth-oriented with their investments because they “can afford to be,” and any losses to their portfolio will not affect their current lifestyle. First, to break the ice, I ask this client where they went to medical school. They will tell me their school. Then I will ask if they took the first-year elective found in every medical school, called “I Know Everything about Everything 101.” Of course, this is a joke, but their response tells me pretty quickly if we are going to be able to establish a working relationship, and if they will be open to education and guidance. I explain that we recommend to clients a more risk-managed approach to investing than they have been exposed to before. Are they willing to learn about it? I sit down with the physician and explain our approach of seeking consistent, competitive returns over the long haul. At an annualized return of, for example, 7%, you can potentially grow your investments over time while managing the excessive risks and addressing the high probability of significant loss. Wouldn’t a managed-money approach be better for most people than to have their hard-earned money exposed at all times to the volatile ups and downs of the markets? This tends to be a very productive discussion and leads us into talking about many more aspects of active money management. What role do third-party managers play in your investment strategies for clients? Most of our investment strategies are managed by outside money managers. For example, about 85% of the assets we manage for retirement plans are using actively managed models. We believe that actively managed portfolios, in the long run, will outperform static portfolios specifically because of loss mitigation. They will not necessarily outperform in a raging bull market, but over the long haul they will do comparatively well because these managers strive to capture upside in bull markets and seek to limit drawdowns in bear markets. The resulting mathematics of smoother and steadier returns works out well for clients, and they should also experience much less volatility than with a static portfolio. We explain to clients that this is achieved primarily by (1) using broadly diversified portfolios that might have relatively noncorrelated strategies that can use all major asset classes, (2) working with investment managers who employ quantitative strategies that use sophisticated models and indicators that attempt to stay in tune with market trends, and (3) using strategies from these managers that place a high importance on risk management. We know that not all asset classes will do well at any given time. But, if your assets are properly diversified, you have more opportunity of having a portion of your money growing throughout various market cycles. We employ a goals-based investment approach that tracks the client’s portfolio according to pre-established personal objectives, not market benchmarks. Using these managers’ reporting systems, clients can easily see how they are tracking over time in terms of their investment objectives. If changes are required, we do not hesitate to re-examine our strategy recommendations and portfolio allocations. This is all part of our quarterly review process with our clients, which covers investment performance and an update on other areas of their financial plans. The bottom line for our practice is that we want to help clients not only in the retirement planning and investment areas but in any area of their life where they might need financial guidance. This can cover budgeting, asset purchases, college planning, and estate and charitable planning for individuals, or succession strategies and retirement plans for business owners. We are committed to helping our clients in every aspect of their lives, and especially if it involves financial decision-making. 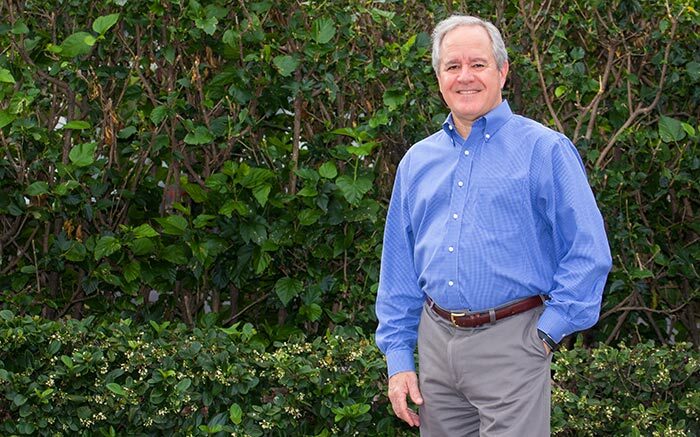 Blanton Garnett is the president and founder of the Garnett Retirement Group. 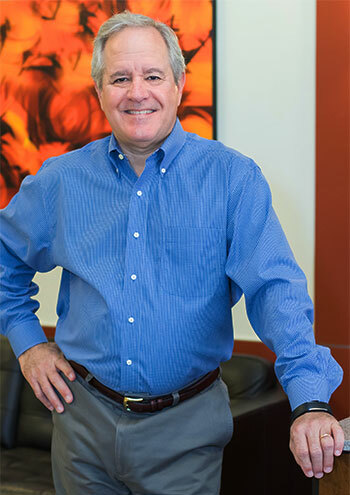 With more than 25 years in the financial-services industry, Mr. Garnett works with companies, small-business owners, and individuals to assist them in meeting a variety of financial planning, investment, and retirement needs. A graduate of the University of Nebraska, Mr. Garnett has earned the Chartered Retirement Planning Counselor (CRPC) and Accredited Investment Fiduciary (AIF) designations. He says his firm’s philosophy is to “deliver on our commitment to helping our clients in every aspect of their lives.” Garnett Retirement Group has an extensive service capability, he says, and offers “cash, asset, risk, and lifestyle management” to clients through a concierge approach. 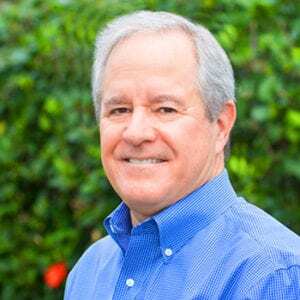 Mr. Garnett is very active in his hometown of St. Petersburg, Florida, and has served in various leadership roles in many civic and charitable organizations. In addition, he is involved in his church and is currently a board member of the Diocesan Council of the Episcopal Diocese of Southwest Florida. Mr. Garnett and his wife have three daughters and two grandchildren. He enjoys spending time with his family, watching “all kinds of sports,” and hunting, fishing, and hiking. Disclosure: Securities offered through LPL Financial. Member FINRA & SIPC. Investment advice offered through Independent Financial Partners (IFP), a registered investment advisor. IFP and Garnett Retirement Group are separate entities from LPL Financial. There is no guarantee that a diversified portfolio will enhance overall returns or outperform a nondiversified portfolio. Diversification does not protect against market risk. No strategy, including asset allocation, assures success or protects against loss.